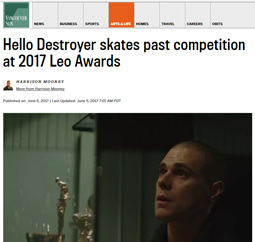 It was a banner year for the Leo Awards, which received a record 1,295 entries, from 301 unique programs in 14 different categories. 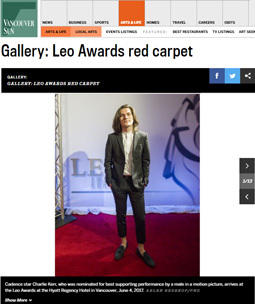 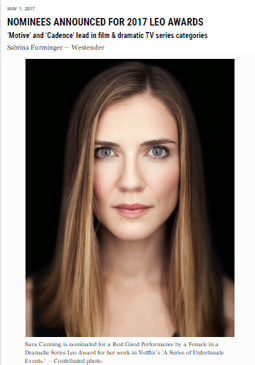 The Leo Awards is back at it again to celebrate Canada's amazing film industry. 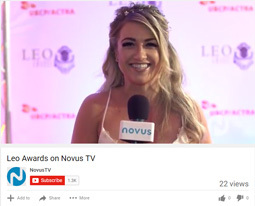 Interviewing a few of the attendees Natalie Langston walks the red carpet. 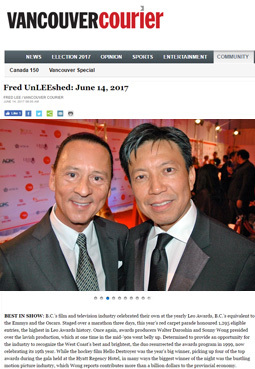 The 2017 Leo Awards were held at the The Hyatt Regency Vancouver and the three-day event is one of the hottest and glitziest events in the BC’s film industry’s calendar. 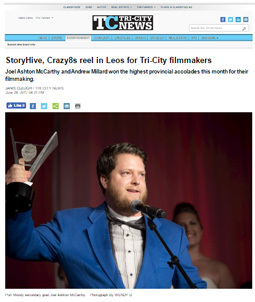 Joel Ashton McCarthy and Andrew Millard won the highest provincial accolades this month for their filmmaking. 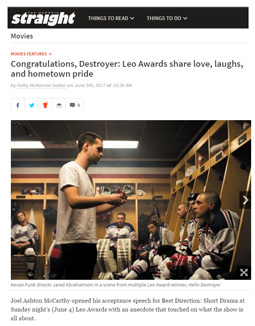 Ce soir se tient à Vancouver la cérémonie de remise de récompenses Léo Awards. 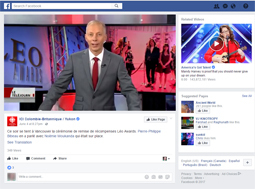 Pierre-Philippe Bibeau en a parlé avec Noémie Moukanda qui était sur place. 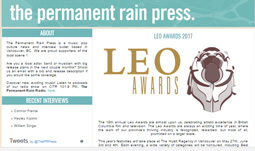 The Permanent Rain Press at the 2017 Leo Awards. 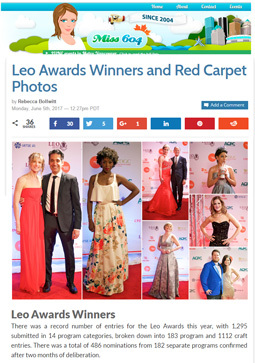 Our 2017 Leo Awards Red Carpet coverage featuring interviews with Taylor Hickson, Osric Chau, Sara Canning, the cast of Freeform’s Beyond, and more! 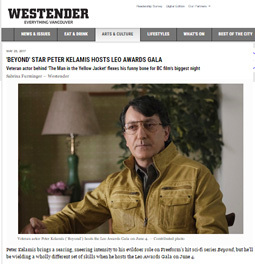 Segments include nominated and upcoming projects, and on-the-spot trivia on ice cream and the Spice Girls. 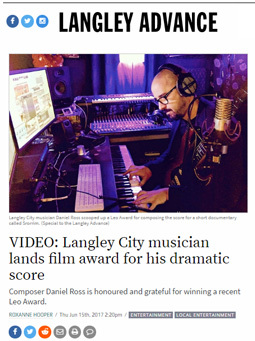 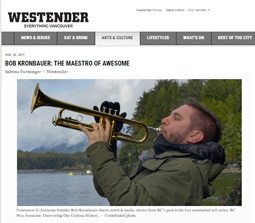 VIDEO: Langley City musician lands film award for his dramatic score Composer Daniel Ross is honoured and grateful for winning a recent Leo Award. 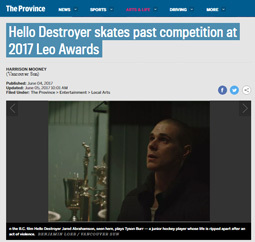 BEST IN SHOW: B.C.’s film and television industry celebrated their own at the yearly Leo Awards, B.C.’s equivalent to the Emmys and the Oscars. 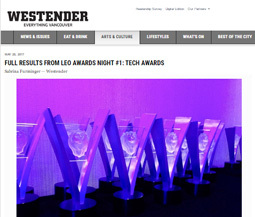 ON TOP: Leo Awards Founder Walter Daroshin was thrilled when the 19th annual running named winners from 1,295 entries by B.C. 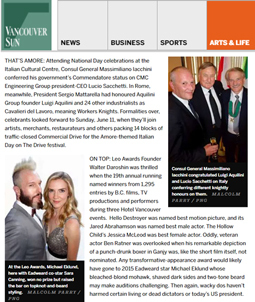 films, TV productions and performers during three Hotel Vancouver events. 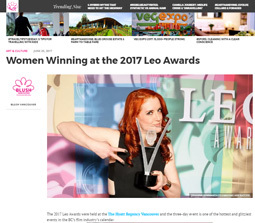 Steph Florian with Leo Awards host Mackenzie Gray. 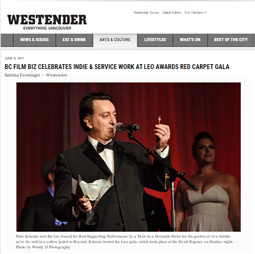 The 19th annual Leo Awards are almost upon us, celebrating artistic excellence in British Columbia film and television.